CRADDOCK Group Companies have been providing a wide variety of oil and gas industry services within the Gulf of Mexico region of the United States since 1997. During this time our combined efforts have executed the successful completion of many important engineering projects involving a complex array of logistical challenges. These onshore and offshore projects were completed on time and within budget—both hallmarks that attest to the high degree of professionalism our group is known for. CRADDOCK utilizes "lean" system design that ameliorates budget bottlenecks and design redundancy, and engineer for seamlessness in operational processes, providing the right actionable solution at the right time. The following are projects where we have applied our engineering design principles—from concept through completion. 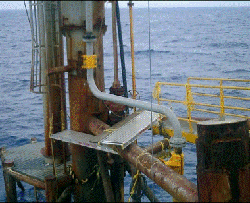 Read more about hurricane repairs, subsea services, facility abandonment and NORM. 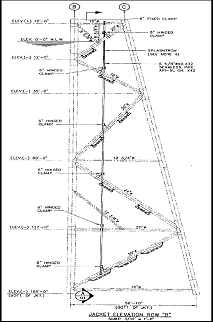 ExxonMobil/Williams Pipeline (Project Designation GALV–144) Project Scope: The procurement, construction, and installation of four (4) miles of 8” oil and gas transfer pipeline. Total project value: $4 Million U.S. Dollars. Shell Oil – Project Designation (Mars Project) Project Scope: Gas compressor upgrade and installation. Total project value: $2.8 Million U.S. Dollars. ExxonMobil – Project Designation (Bullwinkle Project) Project Scope: Commissioned sub-sea well and oil storage tank battery control project. Total project value: $6.5 Million U.S. Dollars. 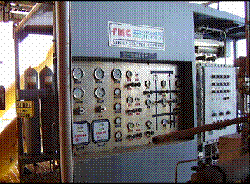 Shell Oil – Project Designation (Mars Project/ Phase II) Project Scope: Gas compressor control upgrade and installation. Total project value: $1.5 Million U.S. Dollars. Apache Corporation – Project Designation (SA 17 #5) Project Scope: Procurement and installation of two (2) miles of 8" oil and gas transfer pipeline and installation of 8" risers. Total project value: $8 Million U.S. Dollars. 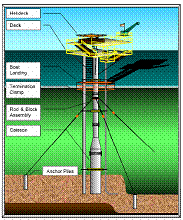 Apache Corporation – Project Designation (GI 47"O") Project Scope: Procurement and installation of offshore jacket and deck assembly, including topsides and oil and gas processing equipment. Total project value: $68 Million U.S. Dollars. Apache Corporation – Project Designation (WC 293 Field) Project Scope: Procurement and installation of two (2) offshore caisson deck assemblies, including topsides and oil and gas processing equipment. Total project value: $28 Million U.S. Dollars. Callon Petroleum – Project Designation (EC 267-268) Project Scope: The procurement, construction, and installation of six (6) miles of 8” oil and gas transfer pipeline. Total project value: $12 Million U.S. Dollars. Kerr McGee – Project Designation (Bretton Sound Compressor Installation) Project Scope: Procurement and installation and commissioning of 260 ton compressor package including the installation of oil storage tank battery and oil and gas pipeline infrastructure. Total project value: $34 Million U.S. Dollars. Experienced CRADDOCK drilling engineers and wellsite supervisors deliver comprehensive well services for onshore and offshore fields. We offer specialized engineering and operational services to handle your most challenging conditions. We have successfully designed and managed drilling programs for horizontal and extended-reach wells, deep-water subsea wells, urban drill sites, and reservoirs with complex geologic formations. 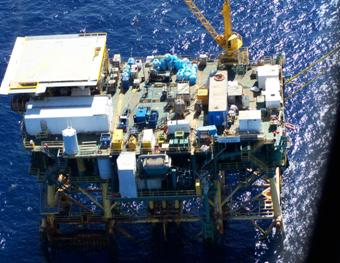 CRADDOCK is capable of handling all aspects of offshore platforms operations. Our highly skilled crane operators are sought after for their safe and efficient service. Our operations personnel work seamlessly with our clients’ staff on location, allowing asset owners to easily meet changing workload demands with qualified, safety-oriented personnel. A recognized industry leader in rig services, CRADDOCK provides a full range of services from equipment sizing and planning to onsite rig assembly. 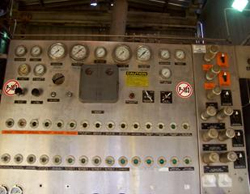 Our field mechanics are frequently requested by name to help our clients with their most difficult inspection and repair jobs from derrick inspections to complete overhauls of drawworks and mud pumps. Whether it is deep holes, high pressure, or fractured geology, CRADDOCK can provide specialized engineering and operational solutions to work out our clients most difficult problems. CRADDOCK provides contract drilling supervisors to multiple operators in California and in the Gulf of Mexico for exploration and development drilling operations. These individuals are highly qualified and experienced personnel that have been fully evaluated by CRADDOCK prior to supervising our client’s drilling operations. CRADDOCK provides trained and experienced field staff and supervisors to plan and execute drilling rig mobilizations and demobilizations. When you want to move a rig onto or off a platform, CRADDOCK can provide a full range of services from equipment sizing and layouts, planning & estimating, onsite integrity assessments, to onsite rig assembly, logistics planning/scheduling and rigging assessments. 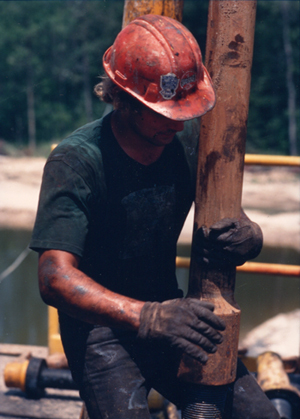 Before calling the drilling contractor, call CRADDOCK. Our staff can help you manage through the process to ensure that the best value from the suppliers and vendors is received while meeting your specific drilling needs. CRADDOCK is the regional West Coast leader in providing qualified experienced crane operators and riggers for the offshore oil and gas industry to handle all their particular material handling needs. 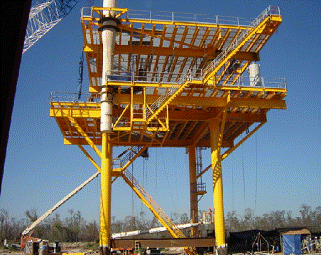 CRADDOCK specializes in the inspection and certification of marine terminal and offshore platform crane installations. The field staff are trained by the CRADDOCK in-house certified instructor to the latest API RP 2D recommended practices. CRADDOCK employs experienced instrumentation and electrical technicians for installation, maintenance, and repair of client oil and gas production facilities. CRADDOCK manages rig maintenance programs and provides highly experienced field mechanics and technicians capable of trouble shooting and performing field repairs on all types and sizes of rig equipment. 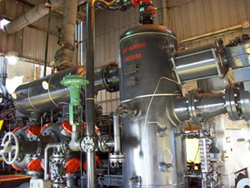 CRADDOCK has a proven track record for handling difficult inspections and repairs from small pumps to drawworks. CRADDOCK can assist in client rig inspections and evaluations as well as providing staff to maintain idle rig installations.